The British diver John Volanthen was placing guide lines to try to get closer to 12 missing boys and their soccer coach trapped in a flooded cave network when he ran out of line himself, forcing him to the water’s surface. There they were, all 13, staring at him through the light of his headlamp. 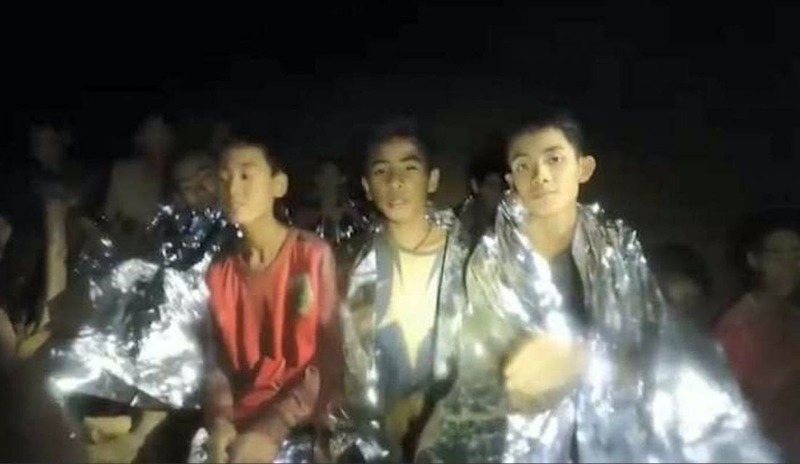 After 10 days of efforts racing against monsoon rains and rising water in the cave, the search for the missing soccer team had finally succeeded. Read more of the excellent article from the New York Times HERE. “I promise I will care for the kids as best as possible. 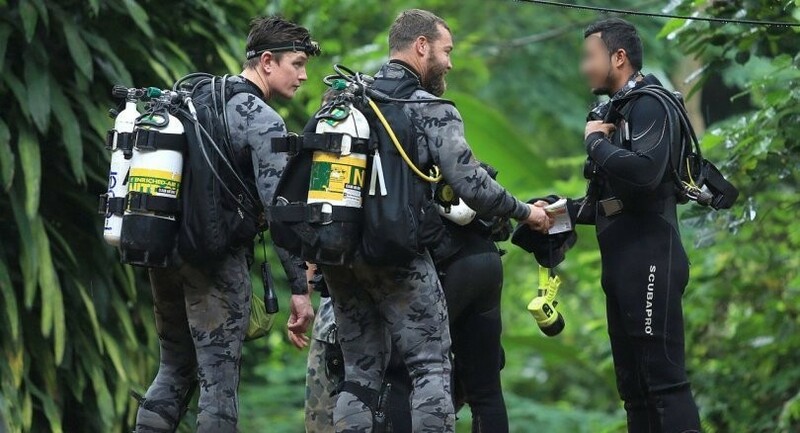 I want to say thank you for all the support,” 25 year old Cochairs Ekk wrote in a touching letter, nine days after they were found sitting atop a ledge known as “Nerm Nom Sao” inside the Tham Luang cave by British divers. And so the narrative goes of the two British divers finding the team at the, now famous, Nerm Nom Sao ledge deep inside the cave. 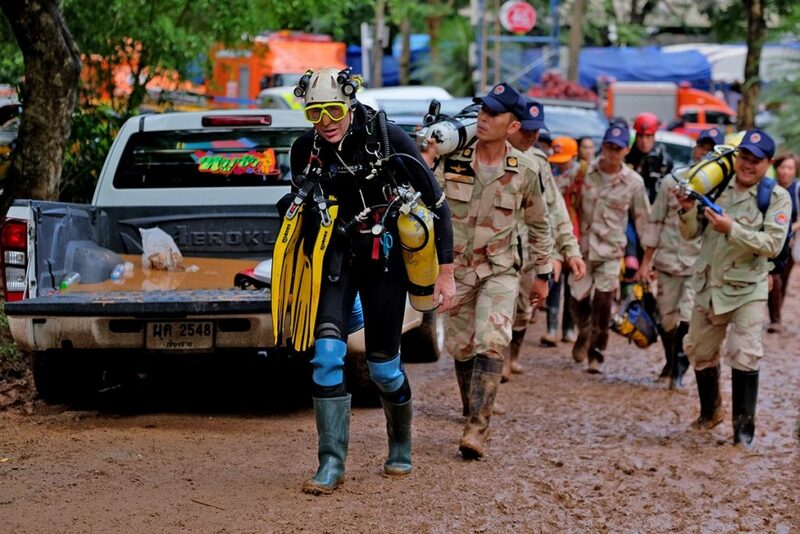 It was said to be about 400 metres past the better known ‘Pattaya Beach’ rise in the caves. The famous photos of the 13 boys perched on the ledge, surviving there for more than a week with only water, went viral around the world. You can read 100s of versions of the famous discovery on websites, book and documentaries around the world. Except that, according to one of the British divers who found the boys, it’s wrong. Today Australia’s ABC SE Asian correspondent Liam Cochrane revealed that the ‘Nerm Nom Sao’ ledge doesn’t even exist. “Well, we’ve been back to Pattaya Beach where the, where the boys were actually found,” Vernon Unsworth told the ABC, just before he guided the Australians into the cave. Dr Richard Harris and Cr Craig Challen, the two medical cave divers who were instrumental in hatching the plan to sedate the young men as a pivotal part of the cave rescue, revisited the Tham Luang Caves in Chiang Rai today after receiving Thai medals to honour their contribution in a ceremony in Bangkok last Friday. Australian cave divers Dr Richard Harris and Dr Craig Challen have been conferred the Most Admirable Order of the Direkgunabhorn at a ceremony in Bangkok, for their crucial role in the Tham Luang cave rescue. 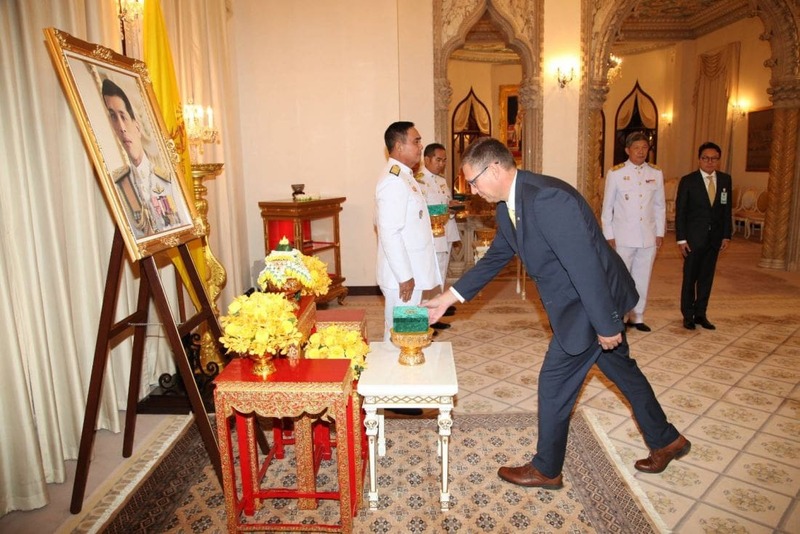 The pair received the honour in a ceremony at Government House in Bangkok on Friday afternoon, before meeting with the PM Gen Prayut Chan-o-cha. “It’s very exciting, it’s great to be back,” Dr Harris said. 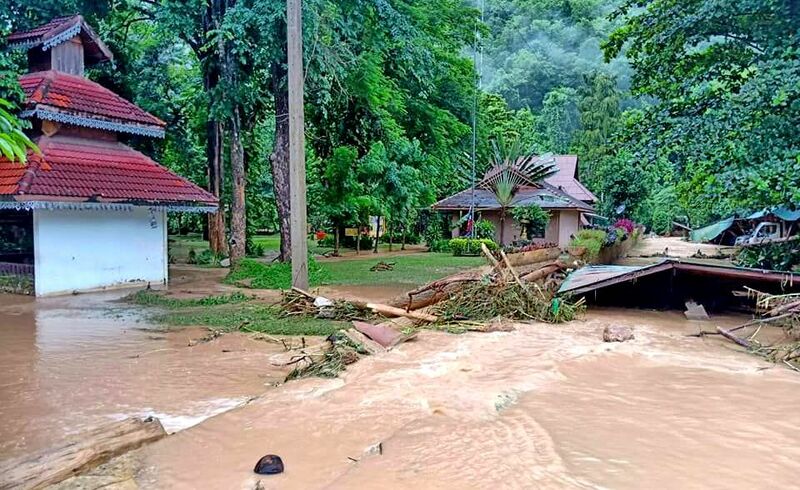 Drs Harris and Challen have returned to Thailand for the first time since their crucial contribution to the rescue of the 13 young footballers from the Tham Luang cave site in Chiang Rai almost a year ago. Drs Harris and Challen were also in January jointly named Australians of the Year – one of the country’s highest honours. The pair will now travel to Chiang Rai to return to the Tham Luang cave site and meet with the MU Pa football team and their families tomorrow (Monday). “That’s really exciting for us to go and see them and make sure they’re well and see how they’re doing after the rescue,” Dr Harris said.